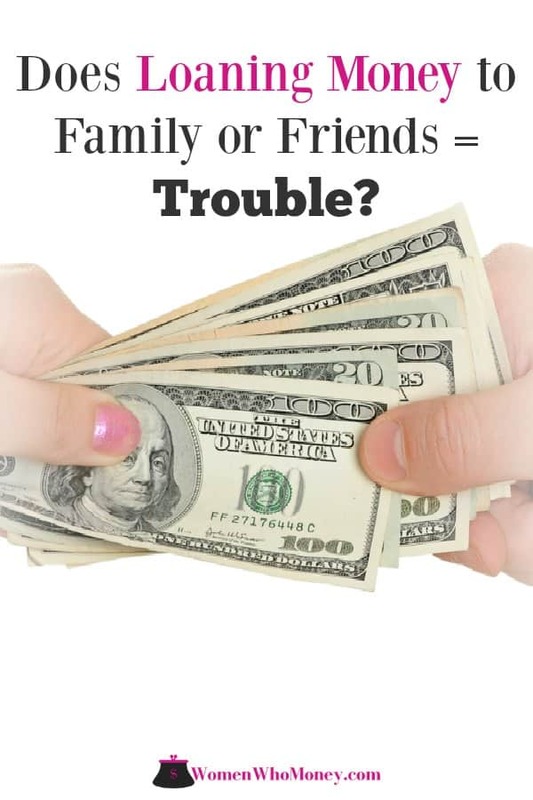 Home » Money and Relationships » Is It A Bad Idea To Loan Money To Family Or Friends? In a financial pinch, turning to friends and family for a little financial help seems like a good option. After all, what could go wrong? Many people have horror stories about personal loans destroying and ending relationships. It would be challenging to find anyone who hasn’t seen the effects of what money transactions between family and friends can do to relationships. 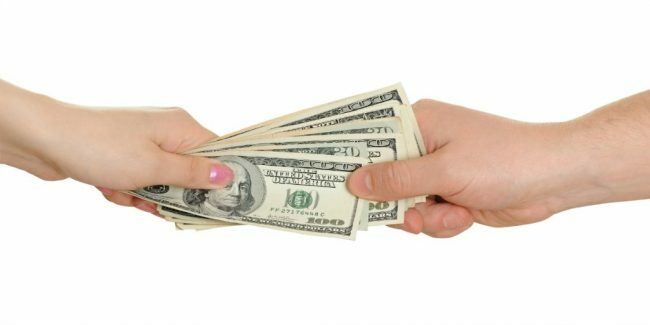 Let’s take a look at why lending money to family or friends is not a good idea. And what to do if you decide to anyway. According to a 2017 Federal Reserve Board report, almost 40% of Americans couldn’t cover an unexpected $400 expense. It’s no surprise that when something happens, these people may ask friends or family members to lend them money. When people need financial help from the people they are closest too, there’s usually a reason behind the need. Perhaps, the individual is having difficulty budgeting their money. Maybe they lost their job or had an extraordinary emergency putting a tremendous strain on their finances. It’s also entirely possible they have a questionable credit history making it nearly impossible for them to find access to credit in other forms. As a last resort or to quickly fix financial problems, some people choose to reach out to family and friends who might be willing to lend them money for whatever the reason might be. This could immediately create issues. It’s possible the target of the borrowing request is already leery about lending money under the circumstances. They could undoubtedly feel conflicting emotions if their own financial situation would be adversely affected by repayment delays. It’s also possible they inherently know it’s a bad idea to transact business with loved ones and friends. If the personal loan transaction starts with an air of uneasiness, it’s already establishing tension. Any attempts to put pressure on the borrower to abide by the lending terms could create friction and accusations of mistrust. Perhaps the scariest part of lending money to family members or friends has to deal with the realization the relationship has a price tag. How much could unpaid money cause damage to the relationship? It is incredibly hard to say no to a loved one or close friend who needs money. Especially if their need seems to be legitimate. Resisting the temptation to help can be particularly trying for those with compassion or a desire to be the hero. In spite of these issues, there are eight compelling reasons why lending money to loved ones is considered a bad idea and rarely worth the risk. Enabling Bad Decisions. Many times, the need to borrow money comes as a result of bad decisions. It might be something as simple as poor money management skills or as severe as having to deal with legal issues. The problem with lending someone money under these kinds of circumstance is it relieves them of the responsibility of dealing with the problems they have created. Loaning a family member bond money to get them out of jail would undoubtedly be an act of kindness. However, if they indeed committed a crime, the time in jail might give them cause to reconsider their mistakes. Changing the Scope of the Relationship. All relationships operate under specific dynamics. When money issues enter the relationship, the dynamics will likely change. Why? All of a sudden, the borrower is beholden to you over the exchange of money. The friend or family member you gave the loan to will likely feel a sense of servitude to you until debt repayment is made. Inability to Address Your Own Financial Needs or Emergencies. While a family member or friend has ownership of your money, you might encounter financial needs of your own. If delays in repayment occur, it will put you in an awkward position, forcing you to choose an option: set aside your individual needs until payment is received, add credit card debt which can hurt your credit score, seek a loan from another resource, or put pressure on the borrower to make payment, risking stress to the relationship. Becoming the Borrower’s Go To Borrowing Option. If you lend money to a family member or friend, it can set a precedent. Depending on how easy you made it for them to secure the loan, the borrower could continue to see this kind of a personal transaction as a viable solution for future money problems. They might even view it as an opportunity to borrow more money while the original amount is still outstanding. Or borrow money for something other than an emergency. Limiting the Ability to Invest Money for Earnings. Far too often, people will choose to lend loved one’s money without charging them interest. While that sounds like a lovely thing to do, there is an “opportunity cost” to doing so. The money could be invested in a high-interest savings account to generate passive income instead. Making Family Gatherings Awkward. Ever attended a family gathering where a couple of people seem to be suddenly awkward around one another? If so, it might be the result of one person lending the other person money. When payments aren’t being made as agreed upon, stress levels may rise. If other family members are aware of the transaction, the strife among people might extend well beyond the borrower/lender to include other loved ones. The Actual Loss of Money. No matter how much or to whom someone lends money, there’s always a real possibility the money will never be repaid. Loved ones don’t typically do credit checks on their friends or family members. They might not be aware that the individual’s financial circumstances will make it nearly impossible to get repaid, perhaps forever. The Last Priority. If you extend a personal loan to someone close to you, count on becoming the borrower’s last repayment priority. As long as landlords can evict non-paying tenants, utility companies can turn off services, and licensed lenders can file lawsuits, going after a loved one for repayment isn’t going to be enough to motivate a repayment process. There are always circumstances that could motivate you to lend money to a friend or loved one – even if you feel it could be a mistake. Only make loans if you are sincerely on board with doing so. Reluctance to a loan can create animosity. Get the loan in writing. 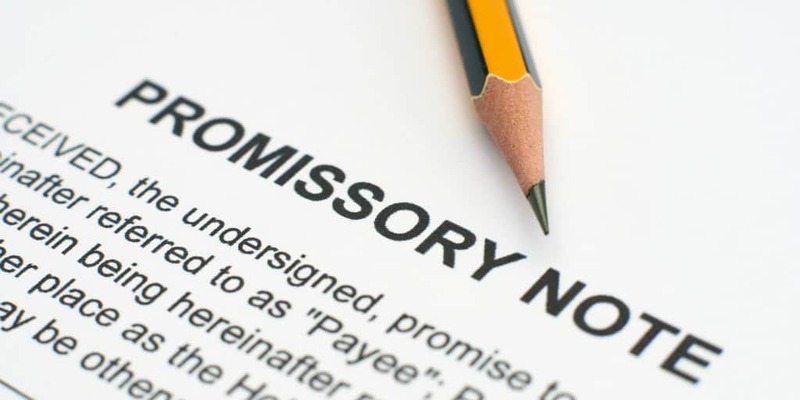 As long as there’s a note (i.e., promissory note) with terms, there will be legal recourse. Never loan more than you can afford to lose. Assume the worst. Treat it like a true business transaction and try to leave your relationship out of the process. Don’t let missed payments slide. It will usually result in your friend or family member assuming they don’t have to abide by the terms of the loan. If you believe you can help the person learn to manage money better, you can offer to assist them in getting their financial life organized. But if you don’t think working directly with them would be helpful, suggest resources they could use or agencies helping individuals struggling with their finances. Is It a Mistake To Lend Money To Family Or Friends? Relatives and friends should always have more value than money. If you have a loved one in need, it might be prudent to offer to give them the money with no strings attached. The responsible loved ones will do the right thing and repay when possible. If you cannot afford to do that, the relationship will likely endure you saying you can’t help, more than it can handle anger and frustration over unpaid amounts. At the absolute least, think hard before lending money to family and friends.